Energy storage technology refers to the process of converting energy from one form (mainly electrical energy) to a storable form and reserving it in various mediums; then the stored energy can be converted back into electrical energy when needed. Energy storage technology can be can be categorized into 10 types: 1) batteries, store energy as chemical reaction such as lead acid, Li-Ion, NiCD/NiMH, sodium sulfur (NaS) and Flow batteries (FBs), 2) electrochemical double-layer capacitors (EDLCs), energy is stored in the dielectric material in an electrostatic field, 3) regenerative fuel cells (FCs), store hydrogen as energy and then convert chemical energy in hydrogen and oxygen to electricity, 4) compressed air energy storage (CAES), store energy in a form of compressed air storing in a receiver tank, 5) Flywheel energy storage (FES), store energy in a rotatory mass, 6) superconductive magnetic energy storage (SMES), store electrical energy in the magnetic field generated by the Direct Current (DC) in the superconducting coil which has been cryogenically cooled to a temperature below its superconducting critical temperature. 7) Thermoelectric energy storage (TEES), use a synthetic oil or molten salt that stores energy in the form of heat collected by solar thermal power plants to be an energy source for generating electricity of thermoelectric, 8) pumped hydroelectric storage (PHS), the water is pumped into the higher level reservoir using an excess electricity during off-peak electricity demand hours, 9) thermal energy storage (TES), store available heat energy using different approaches in insulated repositories, 10) Hybrid electrical energy storage, refers to the integration of at least two different energy storage technologies into one system or application. 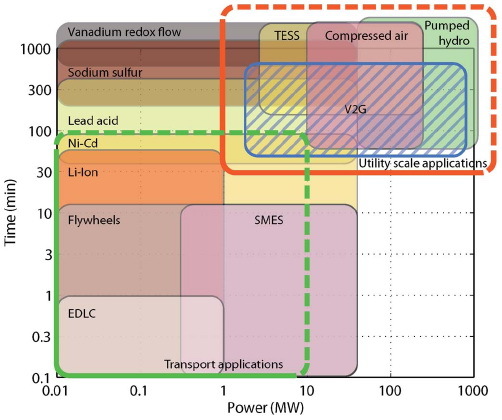 Table 1 summarizes the characteristic parameters of different energy storage technologies. Energy storage systems can improve the performance of several applications and are suitable for transport and utility-scale applications. 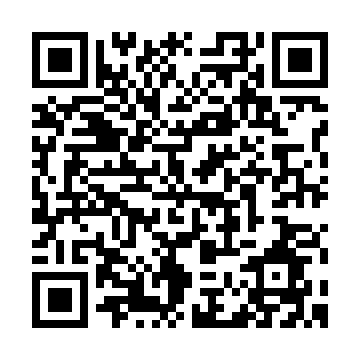 Moreover they are the key factor that will determine the adoption of a technology, for example, electric vehicles (EVs). Fig. 1 shows the suitability of various energy storage systems for both transport and utility applications. In the case of transport applications, time and power ranges are from seconds to hundred of minutes and from tens of kilowatts to tens of megawatts, while in the case of utility-scale applications, time and power ranges are from tens of minutes to hours and from megawatts to gigawatts. For utility or renewable energy integration, energy storage capacity, power output, and life cycle are key performance criteria. The need for long life cycle has motivated the use of storage systems from reversible physics such as compressed air energy storage or pumped hydro as an alternative to electrochemical batteries that present problems of ageing and are difficult to recycle. In transportation applications, portability, scalability, and energy and power density are key performance criteria. Therefore, due to their modularity and portability, and in spite of the numerous issues, including limited life, batteries are still considered the most viable option for transport applications. The main advantage of a storage plant is to contribute to the quality of the grid by maintaining the power constant and also increase the renewable energy sources penetration. However, with more penetration of intermittent renewable energy like wind power connecting to the grid, the system operation will be more complex, and it will require additional balancing between generation and demand. Such as, every 10% wind penetration, a balancing power from other generation sources equivalent to 2%–4% of the installed wind capacity is always required for a stable power system operation. This is critical in countries with a large penetration of solar and wind systems, as Denmark or Spain, where it is estimated that approximately 20% and 10% of the electricity generation come from wind power, respectively. In order to integrate renewable energy sources, it is necessary to propose a suitable storage system that offers capacities of several hours and power level from 1 to 100 MW. The concept of vehicle-to-grid (V2G) has been introduced. Electric or plugin hybrid vehicles can use as energy storage source that communicate with the power grid to sell demand respond services by delivering electricity into the grid. And also, electric vehicle can act as a controllable load when coupled to an electricity network. The market area in Fig. 1 for vehicle-to-grid (V2G) represents 1 million vehicles with 20–50-kWh capacity, where 10% of this capacity is available for utility applications.